The Green Bay Packers come to face the Atlanta Falcons on Sunday Night Football in a rematch of last season's NFC championship game. Both teams got the season off to a winning start on Sunday. Atlanta didn't look great, but still beat the Bears, 23-17, though they narrowly missed covering the spread. The Packers scored a big 17-9 win over the Seattle Seahawks at Lambeau and look to make it 2-0 in a season where they look to do big things. Who can go to 2-0 this week on SNF? The Packers had a tough game on their hands Sunday against a good Seattle team. The offense was able to make some good things happen. Aaron Rodgers only had one TD and threw a pick, but when you throw for 311 yards against the Legion of Boom, it qualifies as a successful afternoon. Ty Montgomery had some useful runs, but overall was just OK with 54 yards on 19 carries. He also added four catches. The big three receivers for the Packers, Jordy Nelson, Randall Cobb, and Davante Adams all had good moments. Tight end Martellus Bennett introduced himself to the offense with 43 yards through the air. It wasn't a vintage Green Bay offensive day with only 17 points, but it was enough to get the job done. This is after all, a bottom-line business. Truth be told, however, Green Bay was pretty fortunate to get the win. Possessing the ball for twice as long as the Seattle offense did was a big help. The Green Bay defense was able to keep Seattle out of the end zone, which was a positive development. There were some good individual performances on this side of the ball. Mike Daniels and Nick Perry each had 1.5 sacks. Corners Damarious Randall, Quinten Rollins, and safeties Morgan Burnett and Ha Ha Clinton-Dix all had good games. Clay Matthews is still in there affecting opposing offenses. We'll see how the line does on the interior moving forward, as Seattle did average 5 yards per run on Sunday. Atlanta took care of business on Sunday against a plucky Bears bunch. It took a pair of fourth-quarter Matt Ryan-led drives to get it done with a big assist from the defense. With the Bears inside the Atlanta 5-yard line with less than a minute left, the defense needed to step up in a major way and they got the stop, punctuated with a late sack to seal it. It wasn't easy, but a win is what the Falcons needed considering how last season ended. Ryan was effective on Sunday, going 21-for-30 with 321 yards through the air. The Falcons didn't get much on the ground and though Devonta Freeman had a TD, he rushed for only 37 yards on 12 carries. Huge on the day was Austin Hooper, with a couple huge catches and an inspirational TD run late to give the Falcons a 20-10 lead. Julio Jones and Mohamed Sanu also chipped in, but it wasn't the most fruitful day for Atlanta receivers, though Chicago is a tough place to open up the season. The defense stepped up when it needed to for the Falcons on Sunday. Brooks Reed notched two sacks, the second one sealing the game. Vic Beasley also had a sack. In the middle, Duke Riley and Deion Jones were very active and in on a lot of stops. Safety Brian Poole had a good game and registered a sack of his own. Dontari Poe, a hyped acquisition and Grady Jarrett were less than stellar in the run-stop category and if the weak-running Packers can run against them, it would be worrisome. All in all, it was a good warm-up for the Falcons, not an overly-impressive win perhaps, but a winning start to the season. And that's what counts. Atlanta has the edge at home and in a dome. Green Bay might need to come outside the box to compete in what might be a track meet after both offenses were somewhat subdued in week one. There is also the revenge factor, though winning a week two game won't make up that much for losing the NFC title game. It's just another piece to the puzzle to consider. This game has an up-in-the-air feel to it. Atlanta is the rightful favorite, but in a game like this, there seems to be some value in having the points. In fact, I wouldn't be too surprised if the Packers won this one outright. We're taking the points and the Green Bay Packers. 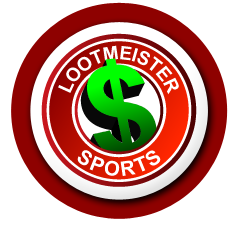 Loot's Prediction to Cover the Point Spread: I'm betting on the Green Bay Packers plus 2.5 points. Tired of your credit card not working for sportsbook deposit? End that problem today and bet the Green Bay vs. Atlanta game by signing up at Bovada Sportsbook where your credit card WILL work and where you'll receive a generous 100% sign-up bonus!